Gite T2 for 2-4 persons, 47 m2, in the open country, near the A66 toll motorway and Nailloux Windmill. From 2 nights. 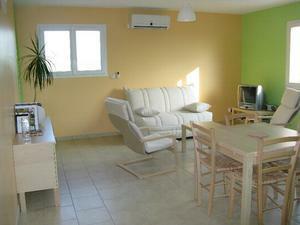 Also a gite T2 37m2 for 2-4 persons. A66 motorway exit Nailloux, to the roundabout turn left, then turn right to roadsign "Les Camparros".